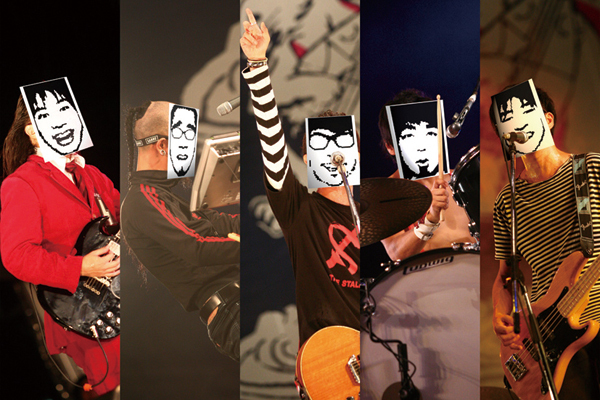 BEAT CRUSADERS was a Japanese rock/punk/pop group who were first formed in late 1997 by Hidaka Tooru, primarily as an experimental lo-fi indie pop group. The first line-up of the group was originally a result of constant experimental shows performed in various locations around Tokyo. Their use of both old and new technology, combined with influences from various bands such as Weezer and Rentals, had transformed them into a melodic guitar-driven band. By late 1998, the group had started to settle into things and were rapidly gaining a reputation for being an energetic live band with catchy and fun songs that weren’t to be missed within the independent music scene. The momentum from this carried on with the single “Never Pop Enough E.P.” which quickly climbed up the independent CD charts of various shops in Japan. Around a month later, they released their first mini-album “Howling Symphony Of…” which both rapidly climbed the charts and received critical acclaim from the music press. After this, the band started to tour more extensively, thanks to various offers from bands within the Japanese alternative music scene. They then released their second single “Firestarter” which was released in 2000 and then followed it up with the full-length album “All You Can Eat” along with involvement in various compilation albums and split mini-albums with various independent groups while still releasing their own albums and singles.